The Sun symbolizes the law of life, Be alive, animate and active. 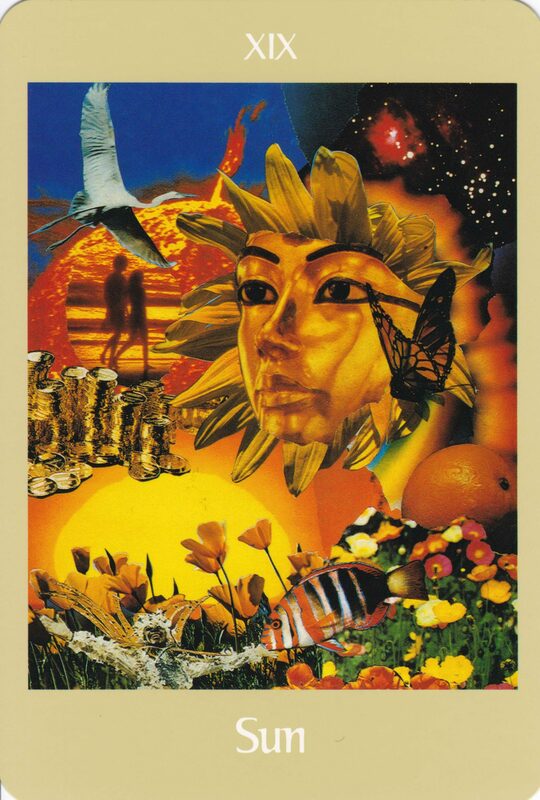 Like the yourthful King Tutankhamun, who represents the morning sun, you are awake. Your mind is alert, your body light and your heart sunny. Your spirit soars and your golden fortunes grow. Be a full participant in the dance of life. Like the radiant sun, you have great power and infuluence. Awaken others by emanating your own vitality. Through your creative energy, you rejuvenate and energize. You are the life foece. Like the sociable and active sun, join with others in work and play. By combining your energy with that of others, you create a new sun, a synergetic fireball that produces new life. The shadow or negative side of the sun: Your outgoing heat of life, you may forget to reflect inward, to rest and be still. Blinded by your fire power and consumed with inflamed hyperactivity, you dissipate your energies and either burn out or burn others out.